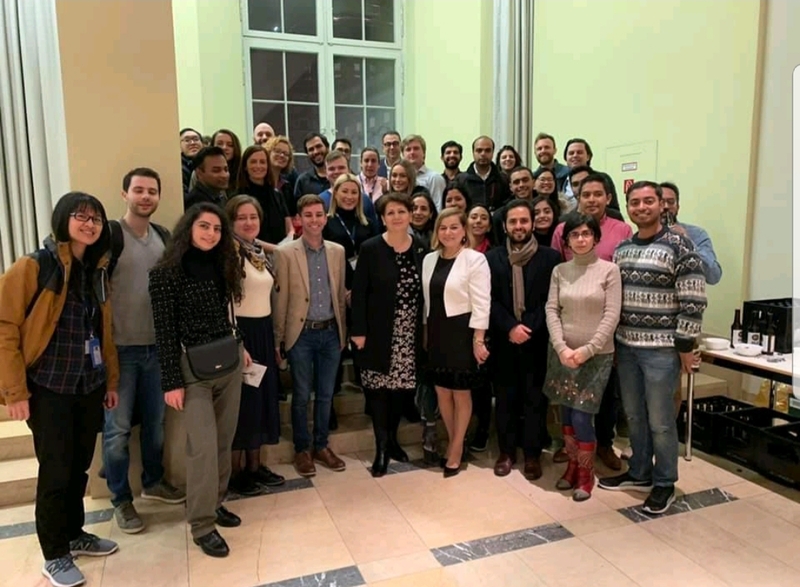 The second stop of Emma Arakelyan’s Europe book tour was in Berlin, Germany, where she presented at the EMST Berlin University Entrepreneurship Club. This unique opportunity enabled 60+ club members and talented professionals, students and guests to meet Emma Arakelyan and hear her speech about building a new leadership lifestyle. The leadership lifestyle she discussed was based off of her recent book, The Business Caring Formula. Special thanks go to Lilit Gasparyan from ESMT and the leaders of the Entrepreneurship Club Paulo Henrique Damiani and Tijana Mijailovic for organizing this event. ESMT Berlin posted in the news that ESMT Entrepreneurship Club organized their first event of the year – “Building Your New Leadership Lifestyle Lecture with Emma Arakelyan”. They expressed their appreciation to Emma Arakelyan for sharing her knowledge and expertise with ESMT students. What Animesh was appealing to here was the idea that you must analyze a situation from as many angles as you can think of before making any big decisions or taking any action. It means thinking about those the action you are planning to take would impact, as well as the overall community you represent that your action would impact. Your community might be your country or even your company, depending on what your job is and what type of leadership role you are in. ESMT (The European School of Management and Technology) Berlin was founded by 25 leading global companies and institutions. The international business school offers a full-time MBA, an executive MBA, a master’s in management, as well as open enrollment and customized executive education programs. ESMT focuses on three main topics: leadership, innovation, and analytics. ESMT faculty publishes in top academic journals. Additionally, the business school provides an interdisciplinary platform for discourse between politics, business, and academia. The business school is based in Berlin, Germany, and has a branch office in Shanghai, China. ESMT is a private business school with the right to grant PhDs and is accredited by the German state, AACSB, AMBA, EQUIS, and FIBAA.